Conflict can occur anywhere, even within our homeschool groups and families we interact with daily or weekly. Social media has changed the way we relate to others and seems to further ignite tensions and strain relationships. Often, these conflicts move us to see the need for reconciliation and forgiveness. How should you resolve conflict in a group? With so much conflict going on around us, it’s important to go back to the basics of peacemaking and conflict resolution. We see so much of the lack of peacemaking or resolution skills that we tend to forget that the best way to resolve conflict is not through anger and hatred, but through understanding. Everyone has an opinion, but the goal is to try to deal with the conflict in an understanding way. Disputes and hostilities erupt in all kinds of human relationships. Husbands and wives who were once united in the holy bonds of matrimony sometimes become estranged. In the workplace, violent conflicts can arise—resulting in bitterness and ill feelings, dissension and unforgiveness. The same thing can happen in homeschool groups. 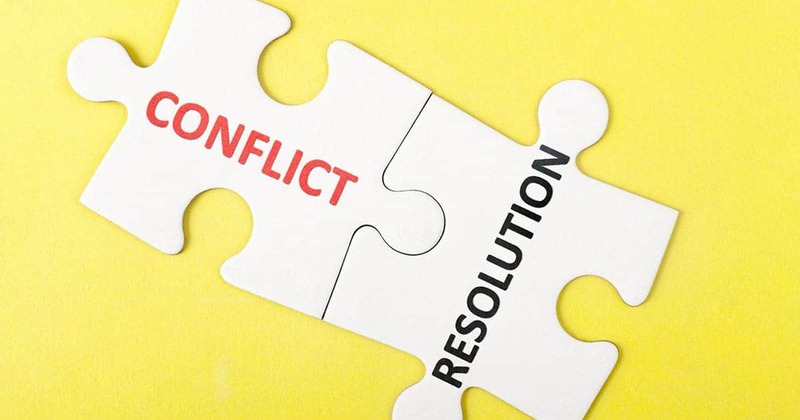 In conflict resolution and peacemaking, we should seek long-term resolution instead of simply attempting to avoid the conflict and hoping that time will heal everything. It is helpful to develop and practice peacemaking skills needed to resolve the issues to the best of our ability. Sometimes there can be conflict when we don’t see the other side’s point of view. Remember that talking through issues may bring clarity to the situation. Conflict can be nasty and brutal. Very few people enjoy the emotions brought on by conflict situations. Peacemaking creates an environment of safety and security where issues can be dealt with carefully and respectfully. We should strive to make sure that each person is heard, has value in the conversation and does not feel attacked. The peacemaker takes on the obligation of protecting everyone, seeing that all are given equal respect and dignity in the conversation. What if the Conflict is Unresolvable? Resolution without justice does not resolve conflict. A peacemaker’s values and integrity may require that the process be to agree to disagree (some conflict resolutions may not be possible for both parties). There are no guarantees that peace will be restored between parties. Every conflict contains the seeds of further escalation that may take root despite the best efforts of peacemakers. However, the risk of failure is never a deterrent to the attempt at peace, especially when peace seems hopeless. No one likes conflict and it takes tremendous courage to face those difficult situations, but in the long run you will grow and learn from it—and so should the other party if resolution and forgiveness are sought. THSC offers more information about peacemaking in our THSC Leaders Guide. Jump to chapter 11 (Dealing with Problems) and read Peacemaking and Homeschooling and Preparing Homeschoolers for Conflict. 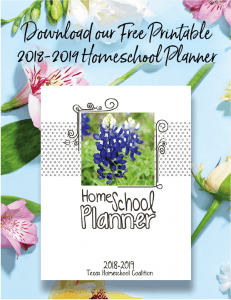 We believe that homeschooling is one of the best educational models. Do you have questions or need help logging into the member portal? Contact our knowledgeable customer relations team today: call 806-744-4441 or email staff@thsc.org. Thank you for your support as we work together for Keeping Texas Families Free! Kudos, Valerie! One of the outcomes of the fall seems to be that people have a hard time keeping (often useful and productive) disagreements from falling into personality conflicts and arguments about things that the arguers often later recognize as petty. I pray your article sows peace into those situations. Thank you so much! I hope that this continues to be a resource for leaders of all types to turn to.